The November Venturing Forum will be Thursday, November 6, 2008. 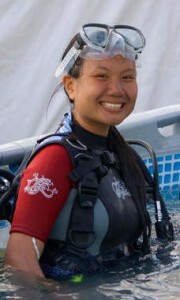 This month’s topic will be Discover SCUBA presented by the Bluewater Divers, a PADI 5-Star IDC facility. Bluewater offers Discover SCUBA for no charge. Attached forms are required and must include parent/guardian signature for minors. You have absolutely no chance of getting in the water without properly signed forms. A medical release from a doctor is required if “yes” is checked at any part of the questionnaire. Meet at the OCCC Aquatic Center and be ready to get in the water at 7 pm. OCCC is located at 7777 South May Avenue, Oklahoma City, OK 73159. Recreation and Community Services (RCS) is located on the southwest side of the main building. There will be little to no meeting. Please email Ann Williams at ann.williams@chk.com if you plan to attend. Bluewater would appreciate an approximate number of participants.